Top'o'the blog t'ye all on 'tis foin St Pahtrick's dey eve. I'hope yer all merry t'morro and remeamber t'ware green! T'celebreat, as ye'all moit 'ave not'sed, I'll be bloog'n awey in an acceint o'the Emerald Iles. At lest I'hope to. How'bout a lyeracal ol' dittie? I also hope I don't cause any offence t'actual Irish people read'n this. T'next garthering'll be on t'twelth'O'April (April 12th). Not sure wot'll be happeneing, but thar'll be pleinte o'snacks an'draft t'be sure t'be sure. Also best teak heed tat tere'll be a new big thing fer young lads'n'lasses t'do. Someth'n about challenges 'r somesoch. 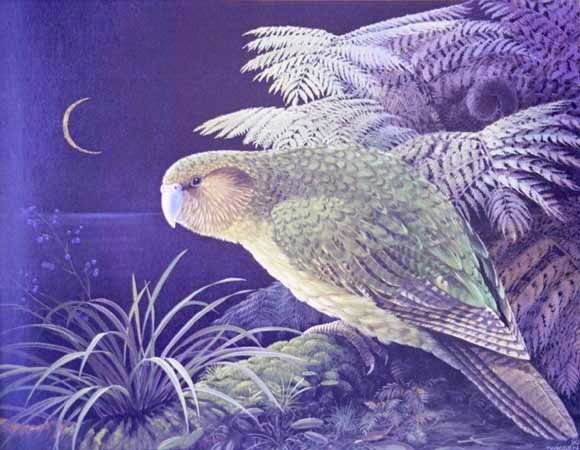 Also t'the lockey wenner o'the Kakapo chaellenge last blog, here's yer well deserved cookie at last. Sorrie it teuk so long thar, there was a bit'o'troubble in foinding the darmned theing. Because o'te feistivities, the next Kakapo Challenge will be t'compose yer own foine dittie, loike the one befar. Leave a comment with it in it. Bonus Cookie if ye list yer favouroite tater dish as weal. That bast be'all than, I'd better be off. They're after me lucky charms!